If you accept that business is always evolving, learning and changing then you won't be surprised by this forecast. Think ultimate velocity. Think the next wave of digital disruption. This makes mobile, big data and the cloud seem like old news. The competitive landscape of companies, markets and individuals just got very complex and interesting. Artificial intelligence, AI is the new competitive advantage. Our civilization is heading for a reality check. We will need to make a call very soon. That is about how the AI Wars will play out. Do we want a Human-Centric Future, enabled by AI but not replaced by AI? This will be a central question in the debate over AI in work, society and business. We need to consider the future trends in AI that would challenge the Human-Centric Future. AI maybe both our greatest competition and our greatest creation. We have entered a new era--The AI Wars. Artificial intelligence, and the current computer programs that deliver various forms of machine learning, natural language processing, neural networks and cognitive computing is emerging fast as a competitive force in every industry, nation and market. The only question that matters is Are You Future Ready? How will you adapt, integrate into your business or career as you prepare for the AI Wars? Amazon is using Alexa to compete against all of the other retailers on the planet and Google Home. Tesla's AI downloads updated geo-intelligence to compete against all the other car brands that don't update via the cloud. IBM's Watson is automating decision analysis that competes with clinics and hospitals not enabled by its cognitive computer. This is just the beginning of the AI Wars. Companies that are using AI to compete will shape the future of AI. There are companies using AI for diagnosing disease, deciphering law, designing fashion, writing films, drafting music, reading taxes or figuring out if your a terrorist, fraudster or threat. AI is everywhere. If you are within sight of a videocamera, cell phone, city, driving in a car or traveling by transit, online or off, unless you are on Mars you are likely exposed to AI in real-time. You may not know this. Here's a forecast--every job a human can do will be augmented by (increased intelligence assets) and possibly replaced by AI. Companies will use AI to outcompete other companies. Nations will use AI to compete against other nations. 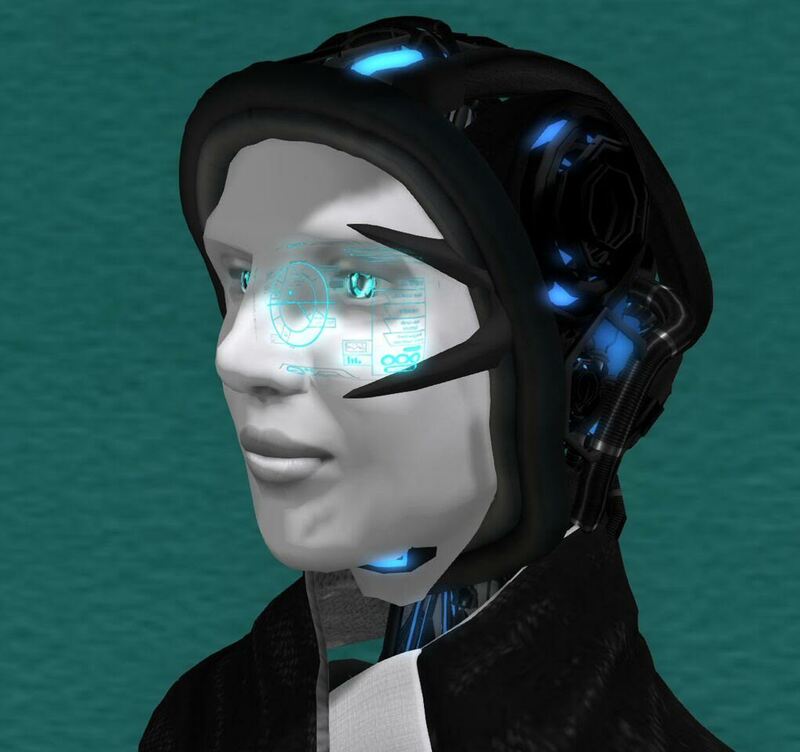 AI augmented humans will outcompete the Naturals--humans not augmented by AI. We must prepare now for this extreme future possibility. AI is the ultimate competitor and collaborator of humans. AI is the game changer of the future that is coming sooner then we think. So smart AI is an investment every organization and nation needs to make now so we can shape the future of AI to become Human-Centric. Now the challenge is how will we will redesign organizations, alliances, markets, work and careers in a world where AI is a partner, enabler, producer and yes, a competitor? We need to redesign our civilization to keep pace with the advancement of AI. Now I am not a dystopian. I believe we need to prepare smarter to meet these challenges but they are coming. No denial needed. Most of what AI will bring will be productive and positive. Some of the developments will pose difficulty, challenge and threat. Artificial intelligence will be the most powerful future competitive force influencing every business, markets, security, creativity and every profession--from law, medicine, engineering to gaming and entertainment. Having AI that can deliver solutions, faster then, even more cost-effective then, with greater quality then humans is coming. This is the inevitable end game of digital transformation. Geopolitical power will be shaped not just by economics, wealth and might but by AI. Thinking machines that can out think the competition mean a new world of geopolitical intelligence that may evolve beyond states, law, human knowledge and understanding. How do we figure out what we cannot understand? When AI writes its own rules, operating system and behaviors and we don't understand how will we realize that we have created a potential competitor not just a collaborator. The AI Wars are coming. The ultimate digital disruption is coming. I am not advocating that AI will replace human jobs but rather that it could happen if we don't plan ahead--become Future Ready, redesign our world to anticipate this future. Companies will and are even today competing using AI. Predictive analytics and big data driven by AI is a competitive differentiator. Make sure you are in this game--shape this future. Even if AI surpasses humans in a autonomous world of smart technology that is faster then humans, we should hold to a Human-Centric Future. We should be ready for this future as we are creating it now. I remain positive and suggest that the future is best served by humanity using AI to fix the grand challenges that face our world--hunger, security, water, disease, poverty and sustainability. We could use some help and I advocate for AI to be directed to help enable humans to fix the planet. Makes sense to this futurist.